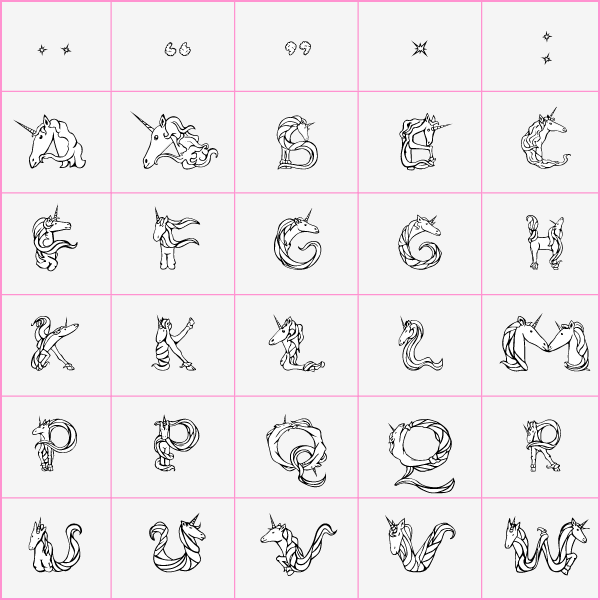 The Magical Unicorn Typeface is a free font based on unicorns, and consists of a full Latin character set and numerals. 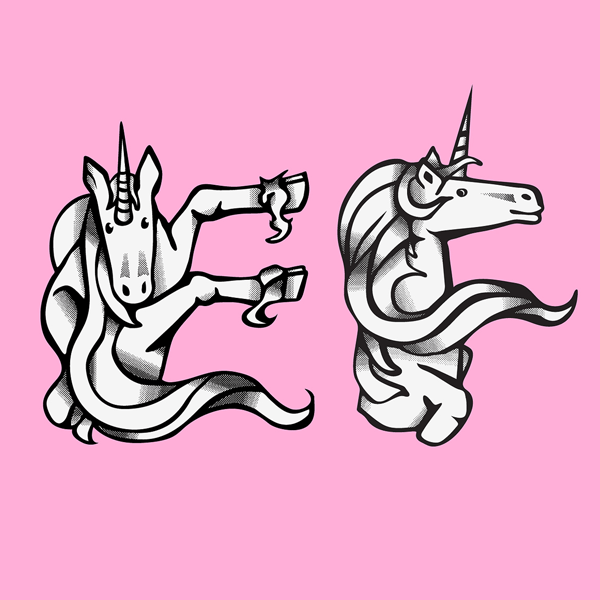 Made specifically for people with a love or obsession for unicorns, this font will make your texts sparkle and shine like no other. The punctuation is based on clouds and stars, while the numerals are rainbow-inspired. Each letter has an alternate glyph, making text not repetitive. The font consists of 4 different weights: The normal, half-toned unicorn letter, called princess and the half-toned sans (without the horn) and light versions of the princess and sans. The punctuation is based on clouds and stars, while the numerals are rainbow-inspired. Each letter has an alternate glyph, making text not repetitive. 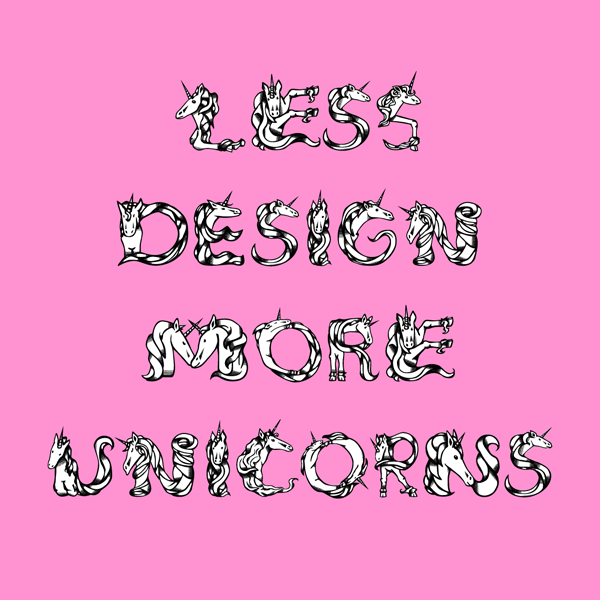 The font consists of 4 different weights: The normal, half-toned unicorn letter, called princess and the half-toned sans (without the horn) and light versions of the princess and sans.